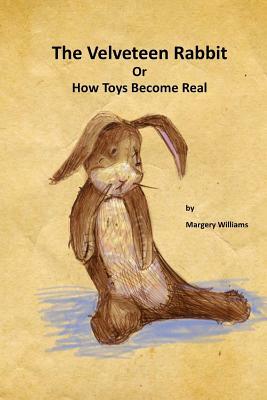 The Velveteen Rabbit or How Toys Become Real - By Margery Williams - Fully Illustrated - Top 100 Books for Children - The Velveteen Rabbit (or How Toys Become Real) is a children's novel written by Margery Williams and illustrated by William Nicholson. It chronicles the story of a stuffed rabbit and his quest to become real through the love of his owner. The book was first published in 1922 and has been republished many times since. The Velveteen Rabbit was Williams' first children's book. It has been awarded the IRA/CBC Children's Choice award. Based on a 2007 online poll, the National Education Association named the book one of its "Teachers' Top 100 Books for Children.